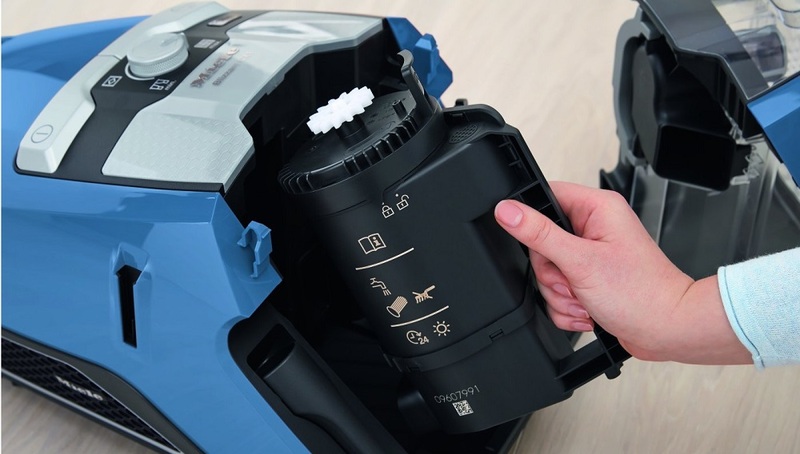 In this review, we’re taking a look at the Miele Blizzard CX1 Turbo Team Bagless Canister Vacuum, in the “Tech Blue” color. 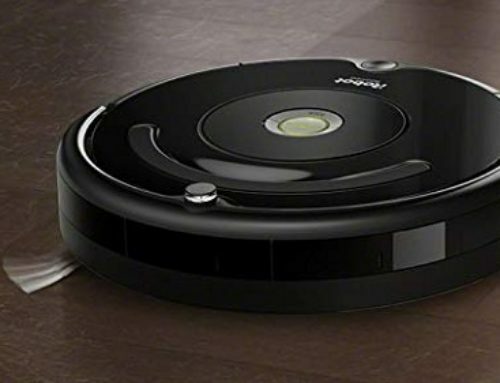 You’ll learn the features this vacuum has, the flaws that it presents, and, finally, who this canister vacuum is actually for, and if this person is you. Before we dive into that, let’s quickly go over what a canister vacuum is. A canister vacuum is a vacuum that is in the shape of a canister. It doesn’t stand up tall and straight, like upright vacuums. And, because of this, it’s a lot easier to move around, and far more flexible and versatile. 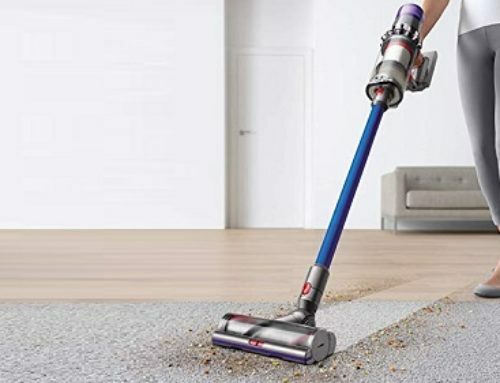 If you want something that is convenient and versatile, yet affordable, this may be the right canister vacuum for you. So, What Can The Miele Blizzard CX1 Give You? 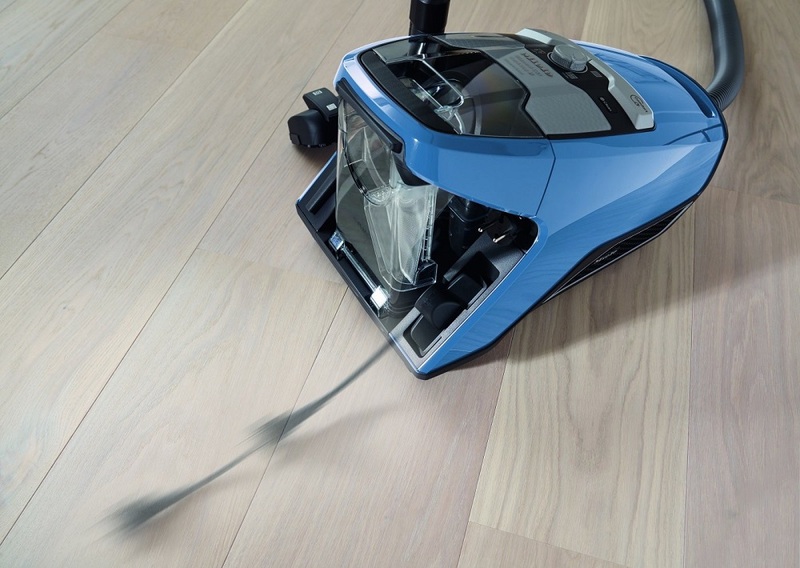 Weighing just 19 pounds, the Miele Blizzard CX1 is a lightweight canister vacuum. You can easily pick it up and move it around, without any issues. Much of the design philosophy that informs this particular vacuum is built around the same ease-of-use that the weight of the vacuum gives it. On the front, there is a small dial and a set of buttons that are clearly labeled. Each button corresponds to things like “Power”, and the dial lets you choose which suction mode you want, out of four possible modes. Figuring out how to use this vacuum will be no problem. So, if you want something that is easy to use, this is a great choice. Emptying the debris that you vacuum up is also easy. 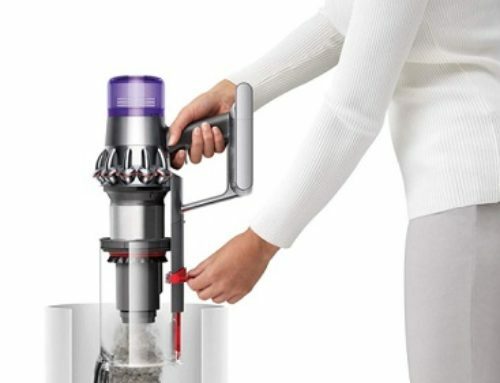 Since this is a bagless canister vacuum, you can simply remove the dirt container and then bring it over to your garbage can. With the press of a button, all of the debris falls out, and that’s that. Using mono-cyclone technology, the process is enhanced. Fine dust and coarse dust are separated, using the aforementioned mono-cyclone technology, and this ensures that the fine dust doesn’t fall back into the air when you are emptying out the dirt container. It also ensures that the filtration process remains easy, rather than leading to clogging. Now, the filtration process is incredibly efficient. This is thanks to the use of a HEPA Lifetime Filter. According to documentation that was produced by the German National Standards board, this particular filter can filter and isolate up to 99.98% of all the dust, debris, and allergens that flow into it. If you, or a family member, suffer from allergies, then this is an especially great vacuum. The filtration is incredibly efficient and ensures that dust is disposed of, along with the allergens found within the dust. Of course, we haven’t gotten into how the vacuum actually, well, vacuums. Before we can do that, we need to talk about the motor that the Miele Blizzard CX1 uses. It uses something known as the “1,200-W Miele-Made Vortex Motor”. This is a specialized motor designed specifically for this vacuum. And, it offers an airflow speed that is, at most, 62 miles-per-hour. Because of these factors, the actual cleaning and suction of the vacuum are exceptional. You can use it on both carpets and hard floors. There are no problems with that. And, you have access to four different suction settings, so that means you have the flexibility to adjust and use the best setting, whenever you need. However, and this is partly due to the motor, but mostly due to the design of the hose itself, you will have some trouble cleaning up bigger pieces of debris. Overall, the Miele Blizzard CX1 is designed to vacuum up dust, and things like food crumbs. Not bigger pieces of debris. Those aren’t vacuumed up as easily, or as effectively, with this particular vacuum. Cleaning is enhanced with the two extra nozzles that this vacuum comes with. There is a crevice nozzle and an upholstery nozzle. The biggest flaw is that cleaning bigger debris isn’t a particularly feasible, or good, idea. Due to the hose size and the filter itself, which is designed purely for dust and very small pieces of debris. If you want a canister vacuum that is efficient, powerful, and easy to use, this isn’t a bad choice. However, if you need a canister vacuum that can clean bigger pieces of debris, then you should consider other options. The Miele Blizzard CX1 works best when cleaning up dust and smaller pieces of debris – such as bread crumbs. It works very well and is affordable.